Did you know that there is more than one type of bipolar disorder? This is important, since it will determine your treatment plan. This includes the medications you take to manage your symptoms. There are actually four types of this disorder, but the most common are Bipolar Type 1 and Bipolar Type 2. So, which one are you? Are You Bipolar Type 1 or 2? Bipolar disorder is a mood disorder that can affect anyone. It is characterized by episodes of mania and depression, though the severity can vary. This is the main difference between bipolar 1 and bipolar 2. 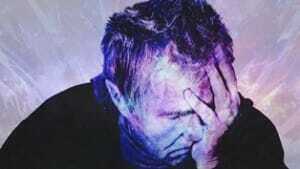 The episodes of depression are similar in both types of disorders. This can make getting the right diagnosis difficult, especially if your first doctor visit is during one of your lows. However, mania is different between these two types. If you are bipolar 1, your manic episodes will be more severe. Your behavior will be considered abnormal by friends and family. With bipolar 2, your mania will be less severe. You might exhibit behaviors that aren’t typical, but your actions won’t be seen as abnormal. This type of mania is referred to as “hypomania”. Just because mania is less severe, doesn’t mean that it can’t still be destructive. It is just as important to be treated for bipolar disorder 2 as it is for type 1. 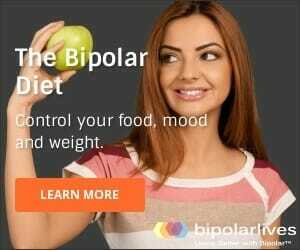 What is Bipolar Disorder Type One? You must have at least one episode of mania and depression to be diagnosed with bipolar type one. The two episodes also have to follow each other. If you’re constantly cycling between the highs and lows, with little or no break in between, you might want to be tested for bipolar cyclothymia. Symptoms of mania are often disruptive, and obvious to others when they appear. If left untreated, your behaviors could have a devastating effect on your life. It can even be severe enough that hospitalization is required. What is Bipolar Type Two? Hypomania in type 2 bipolar disorder also rarely requires hospitalization. Even though your symptoms might not be as severe, and some people even claim that they’re helpful, it is still important to have and follow a treatment plan. Bipolar 2 is diagnosed more often than type one. It is also more common in women, especially if there is already a history of mental health problems in the family. Remember, symptoms of mania or hypomania must be present for it to be a bipolar disorder. The severity of the lows can also be the same, and this can make it difficult to get the right diagnosis initially. Your depressive symptoms must be noticeable to others, and not caused by the use of drugs or alcohol. If you’ve attempted suicide in the past or have suicidal thoughts, it is important that you tell someone. The lows can be crushing, and there is nothing to be ashamed of if you need additional help. Even with their similarities, how the two bipolar disorders are treated and managed can be different. This is because what can help manage hypomania in type 2, could cause psychotic episodes if you have bipolar type 1. Mood stabilizers. These are commonly used to control episodes of mania or hypomania. Lithium, Depakene, Depakote, Tegretol, Equetro or Amical are a few examples. Antidepressants. An antidepressant can help manage depression, especially in bipolar 2 disorder. However, if you’ve been diagnosed with type one, it will need to be combined with a mood stabilizer or antipsychotic to prevent mania. Antidepressant-antipsychotic. The most common is Symbyax. Approved by the FDA for treating bipolar 1, it works as an antidepressant and mood stabilizer. As you can see, just like there are differences in bipolar 1 and bipolar 2 symptoms, the medications used to treat the disorders also varies. Antidepressants are often prescribed for type 2, but rarely for type 1. The reverse is true, regarding antidepressant-antipsychotics. They can be effective at managing bipolar 1, but are seldom prescribed for bipolar 2. Medications are not the only tool you have. There are other methods that should be a part of your treatment plan, regardless of which type of the mood disorder you have. Psychotherapy. Cognitive behavioral therapy can be successful at identifying behaviors that are unhealthy, and help you replace them with positive ones. 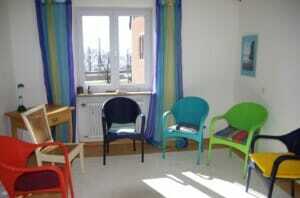 There are also other types of therapy that can be beneficial, and your psychiatrist can recommend some to you. 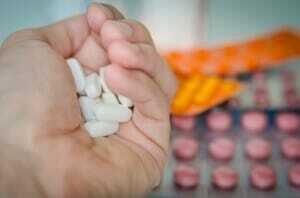 Substance abuse treatment. Drug and or alcohol problems are more common with the disorder than many people realize. It can seem like they ease your symptoms, but they can also prolong or worsen depression or mania. Substance abuse can also trigger an episode. Support programs. Support groups for bipolar disorder can be extremely helpful, and are often recommended. Creating a support network of close friends and family can also help you manage the disorder, and even prevent some manic or depressive episodes. Healthy lifestyle. Your lifestyle affects every aspect of your life. Getting plenty of rest, eating healthy and exercise regularly is important if you want to control your bipolar disorder. If you need help making lifestyle changes, your physician can give you some advice. Even though bipolar disorder 1 differs from bipolar disorder 2, they are still similar enough that it can be difficult to tell them apart. Writing down your symptoms, especially during your highs will help. Just be sure to share it with your mental healthcare provider. If your meds are not helping or are making your symptoms worse, it might be because you are being treated for the wrong type of bipolar disorder. Be open and honest with your psychiatrist, and together you can find a treatment plan that works.